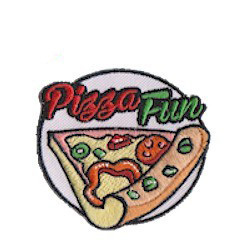 The “Pizza Fun” Patch from MakingFriends®.com is a great little keepsake for your pizza tour or pizza party. 8 reviews for "Pizza Patch (circle)"
Awesome little fun patch for our visit and tour of a pizza restaurant. We have pizza every year so I always get a pizza patch. This patch is cute. Even though the measurements are correct, the patch is smaller than you would think because of the way it’s shaped. Great quality though. And, you can’t beat the price! Any patches I’ve ordered from Makingfriends.com are cute, high quality, and so reasonablty priced. I am from Ireland and we finish up Brownies in June for the Summer. 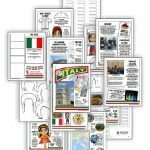 The Browines wanted to have a pizza party and I was looking for something fun to give them as a present. 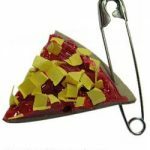 I could’nt belive it when I found the pizza bages. We don’t do any badges like that here. I ordered 30 badges late wednesday evening and I got them early the following Monday morning which was really fast. The badges are lovely with great attention to detail. I plan to order lots more badges in the future. 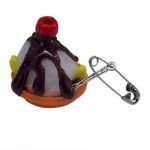 These are perfect for the pizza hut tour we did! Cute patch awesome price! !